Disappeared at the age of thirty-four, Benoît Chamoux climbed from 1985 to 1995 thirteen of the fourteen “8000 meters”, the highest summits in the world. As such, he is still the first French Himalayan climber. Promoter of solitary express ascents, he remains to this day the only man in the world to have climbed three “8000” (including the mythical K2) each time in less than twenty-four hours. Leader in extreme situations of international teams, Benoît Chamoux led for three years the expeditions of the « L’Esprit d’Equipe”. In 1992, from the summit of the Roof of the World, Benoit Chamoux successfully conducted the first measurement of Everest using satellites. Fifteen kilos of instruments were installed on the highest step of the highest peak on the planet. This scientific, technological and human exploit made it possible to determine, simultaneously by satellite and by triangulation, the altitude of the Roof of the World with a new precision (8846m.). 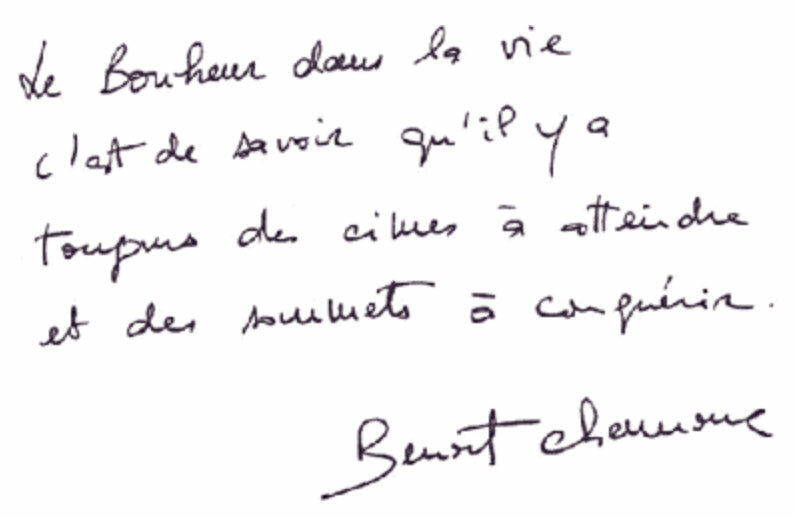 In 1993 Benoît Chamoux climbed his eleventh 8000, the Dhaulagiri and in autumn 1994 the Lhotse (8516m.). This expedition included important medical research at high altitude. 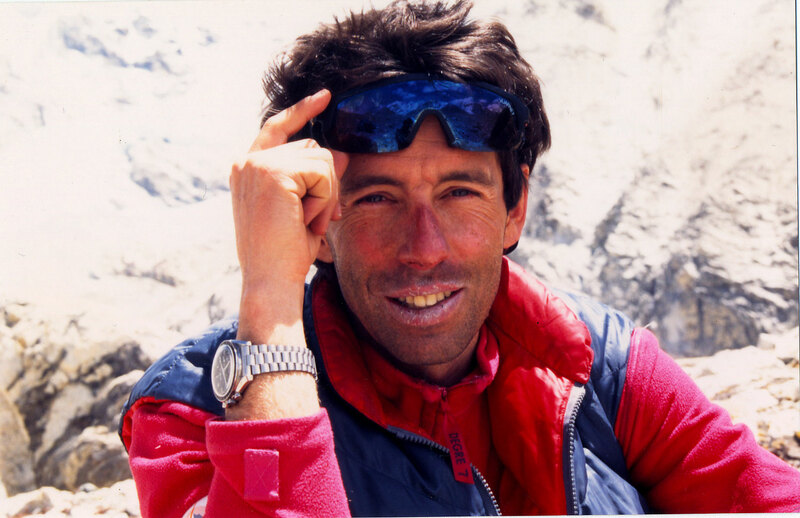 On May 7, 1995 Benoît Chamoux reached the summit of Makalu, his 13th summit of more than 8000 meters. He had only one peak to conquer, the Kangchenjunga (8584m and 3rd highest summit of the world), scheduled for the fall of 1995, and where he disappeared on October 6 a few meters from the summit with his cameraman, Pierre Royer and Riku Sherpa.